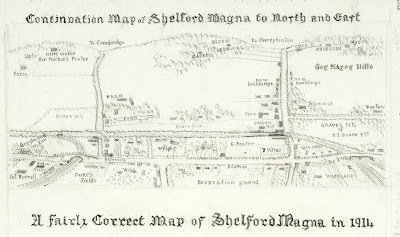 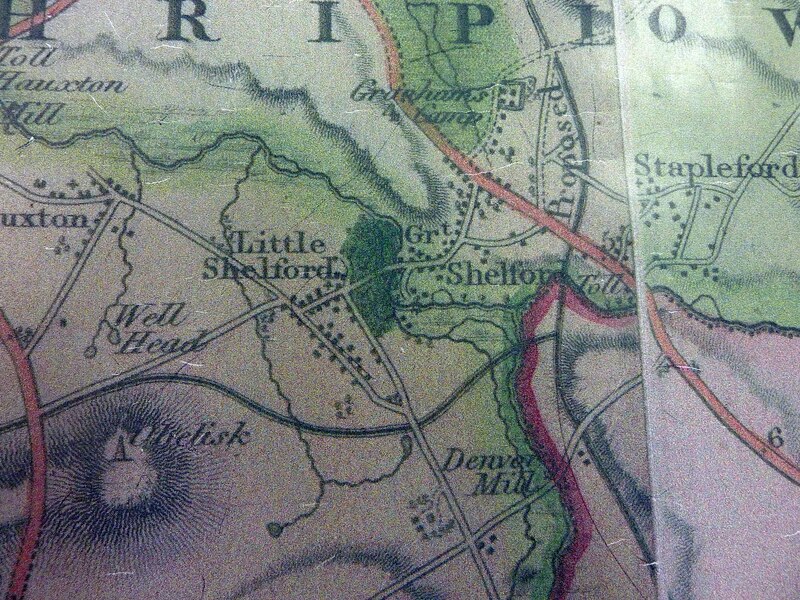 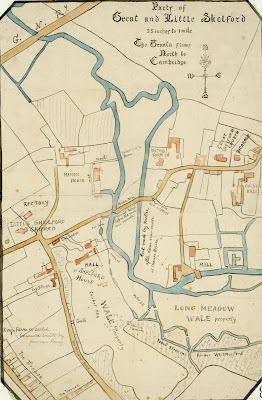 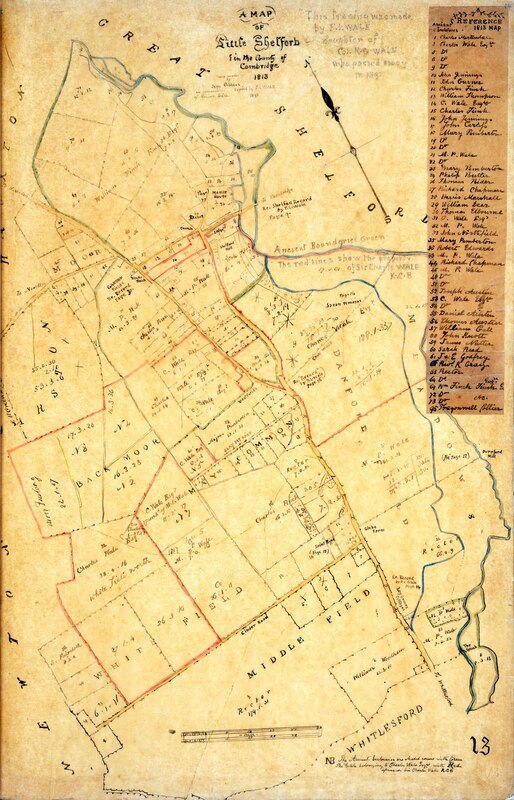 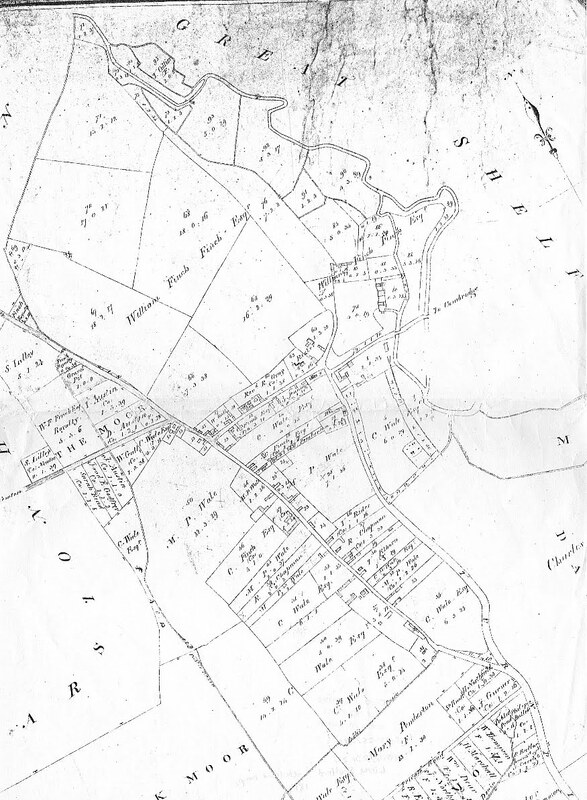 Map from A Record of Shelford Parva by Fanny Wale. 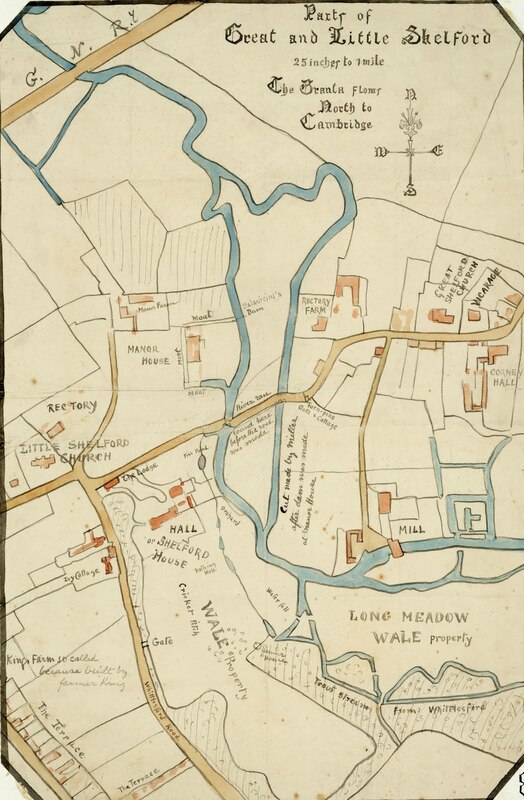 Map shows proposed canal on village boundary in black - the canal plan was later abandoned. 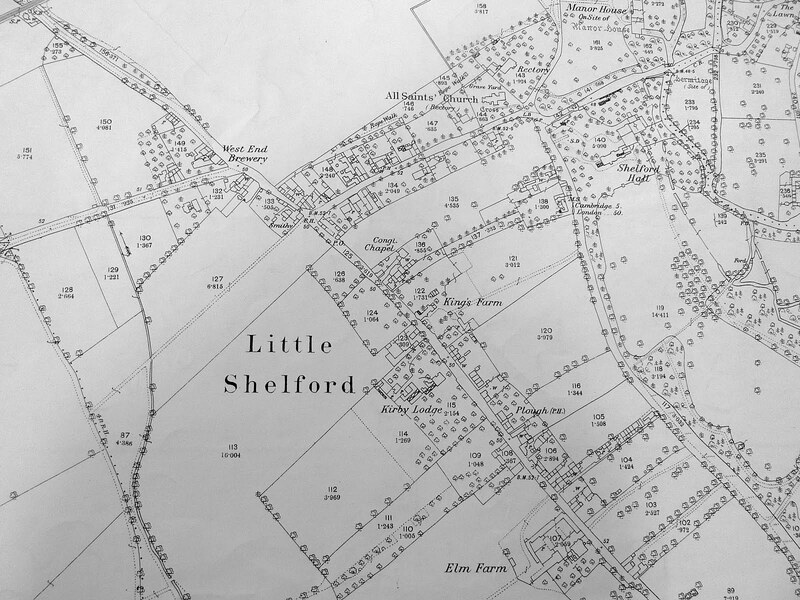 Map has no railway, Garden Fields has yet to be built and there are no allotments. 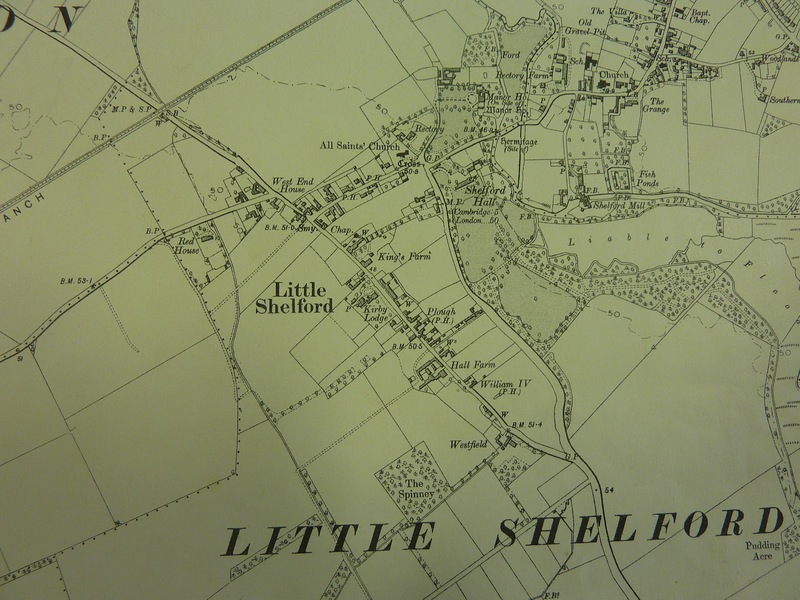 Map includes Shelford Hall, West End brewery, the smithy, Congregational Chapel and Elm Farm. 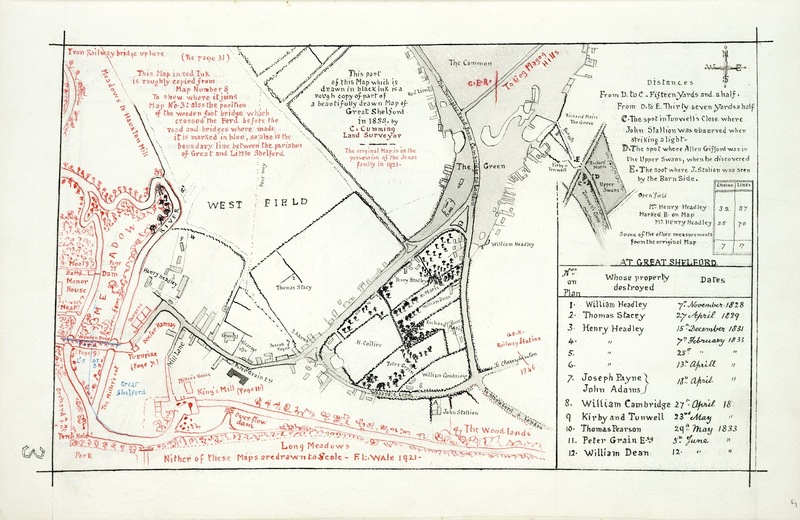 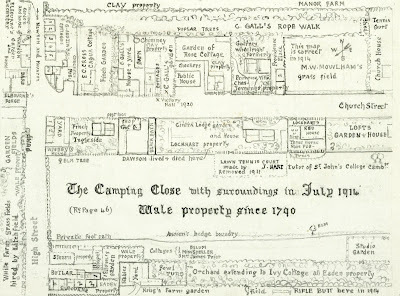 Hand drawn map of Wale estate on Whittlesford Road and Bridge Lane before the hall burnt down in 1929.